The VW Beetle is perhaps the most easily identifiable car in the world, and can be found in nearly every country in the world too! 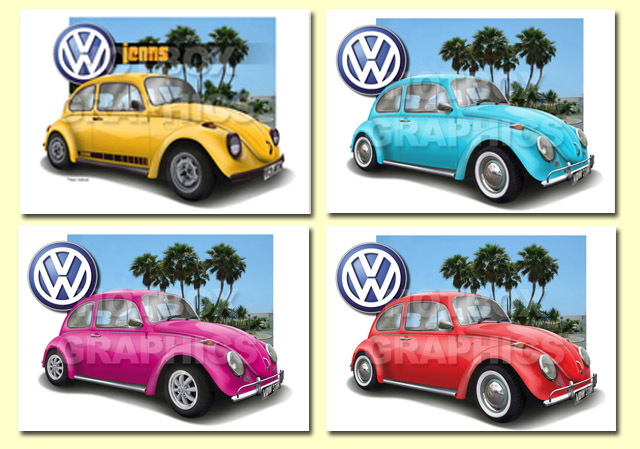 The original Volkswagen People's Car was designed by Porsche in 1937. The New Beetle maintains the classic styling of the original Beetle, but has been updated to compete in the modern car world. Although it looks like its predecessor, it it is a completely different car under the skin!